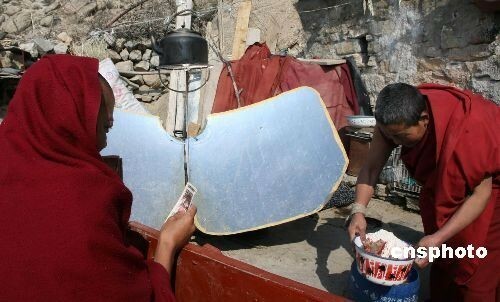 They don't call it “Solar City” for nothing, but “nothing” is what owners of cheap but effective solar cookers in Lhasa, Tibet are paying for their power. The ancient capital of the Tibet Autonomous Region is located on the roof of the world 11,975 ft (3,650 meters) above sea level. At such an altitude above most clouds and haze, Lhasa residents enjoy over 3,000 hours of sunshine and they're doing more with their natural bounty than working up a tan. 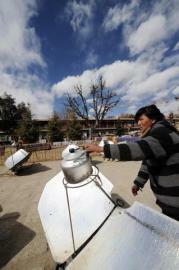 Solar Cookers, my friends, cheap and effective solar cookers! And why not? You try and construct an infrastructure of water pipes and power lines that must snake in, out & over some of the world's most rugged terrain. 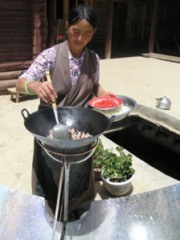 Give a Tibetan a shiny piece of metal and a pot, however, and you've given him or her (and their family) cooked food and sterilized water. 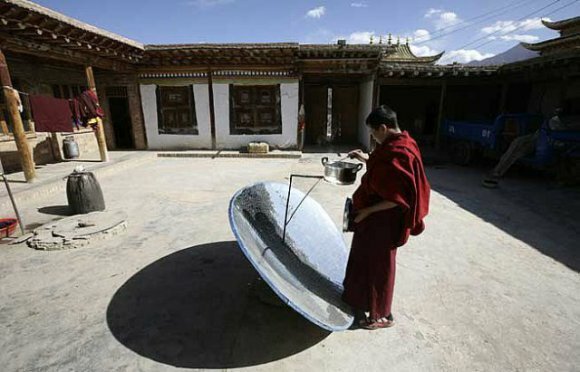 The latest statistics show that the ratio of solar cookers to Tibetans is at 1.36, with approximately 395,000 cookers being dispersed among the TAR's 2009 population of 2,900,300. Most are exceedingly low-tech: no motors or guidance system to follow the sun, no solar panels or storage batteries, rough or no “silvering” on the reflective panels – a quick polish does the trick.